Our large SOHO Arden Tilted Bowl is delightfully slanted. Elegantly proportioned, the large Arden will prove a practical and elegant solution for a multitude of serving needs. 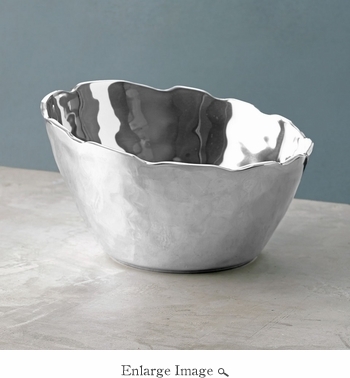 A great wedding gift, this handmade silver bowl makes a bold statement wherever it is placed.